What would you do if your wife was expecting your first child and you were compulsorily called up for military service? James Dempsey faced this dilemma in January 1917. 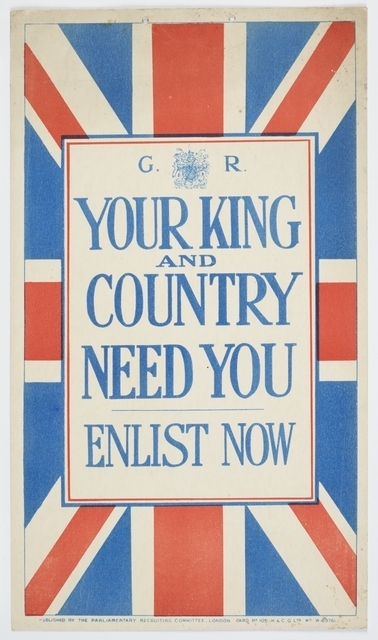 History curator Kirstie Ross shows how James, like thousands of New Zealand men who juggled the calls made by King and Country, work, and family, appealed his conscription. 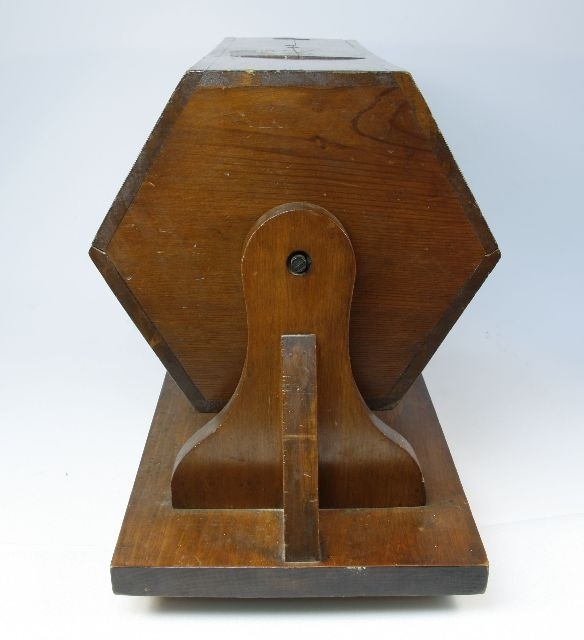 From November 1916 to October 1918, two hexagonal wooden ballot boxes (see below) were rotated regularly as part of the process of conscripting men into the New Zealand army. In total, 138,034 men were called up. But not all of these men experienced active service overseas. By the end of the war, only 19,548 out of the 138,034 conscripts had departed for the front. This was partly because balloted men had to pass a medical examination. They were also allowed, under the Military Service Act, to lodge an appeal before a local Military Services Board. That the conscript’s service was not in the ‘public interest’ or would cause ‘undue hardship’ to his family were identified in the Act as grounds for an appeal. So too was membership of a pacifist religion. James Dempsey and Sophia Hickey, March 1916. Reproduced courtesy of the descendants of James and Sophia Dempsey. 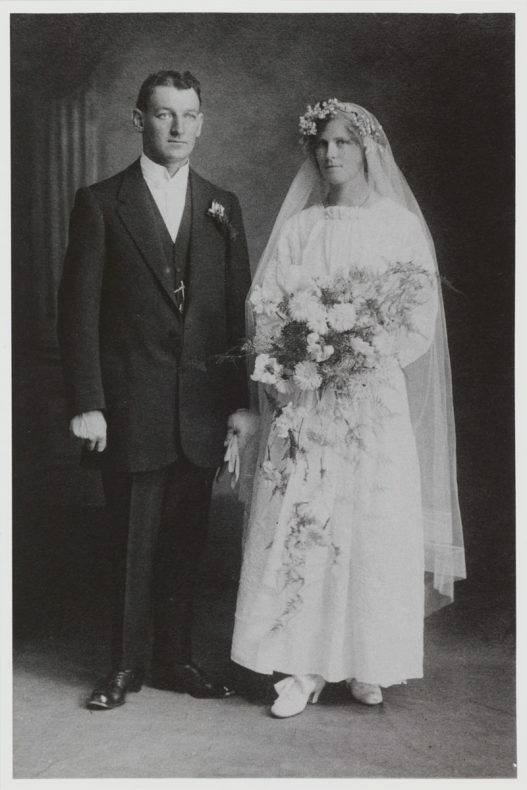 One of these appellants was 27-year-old Petone man James Dempsey (above, with his wife Sophia on their wedding day). James worked as a fireman and stoker at Gear Meat Works and his number was in the ballot boxes when they were spun for the first time in November 1916. But as fate would have it, he did not have long to wait: his name was drawn in the third ballot held on 8 January 1917. But the following month, a lawyer argued on James’s behalf that his client could not be spared because of his family circumstances and his job, which was deemed essential for the war economy. James’s wife, Sophia, was expecting their first child and his employer was the biggest meat-processing company in the North Island. James was granted a three-month-long exemption but appealed his conscription again, in May 1917. His lawyer repeated the arguments used in the first appeal (although James and Sophia’s first child was stillborn in March.) James was given a three-month extension. 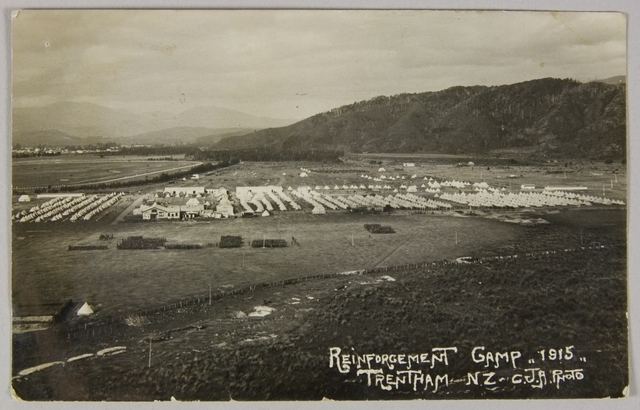 In July he entered Trentham Military Camp (see below) to begin his military training. But James did not serve overseas; ultimately it was an old injury that kept James from the Western Front rather than his personal and occupational circumstances. Historians researching the appeals process estimate that between 32,445 and 43,544 New Zealand men appealed their call-up. Reviewing over 13,000 of these appeals, historian David Littlewood found that 36% were made based on the ‘undue hardship’ and 52% were lodged because of ‘public interest’. James Dempsey’s temporary exemptions were clearly granted on both counts. James was one of the many New Zealand men who might be described as ‘dutifully reluctant’. Although he was prepared to serve, his appeal case reveals the circumstances, commitments and concerns that competed with notions of imperial and national duty. All of these had to be taken into account when ‘dutifully reluctant’ men like James considered their options and the timing of their service: whether to volunteer, or to wait for conscription and appeal it if need be. Historian Bat Ziino has commented that Australian men, when contemplating enlistment or non-enlistment during WWI, assessed their decision ‘in terms of its financial, emotional and mortal effects on themselves and those they loved’. Men across the Tasman had to weigh up, and were often paralysed, by ‘a series of with a set of competing duties to the state, community, family, and one’s own conscience when confronted with the fundamental issue of the day’. From November 1916, the conscription ballot took the onus off New Zealand men. They could, if they wished, leave the decision of whether or not to serve up to the ‘lottery of death’. The appeals process was the imperfect means by which New Zealand conscripts could negotiate the circumstances of their lives around the randomness of fate. Auckland Star, 17 October 1913, p. 7. Kate Hunter and Kirstie Ross, Holding on to Home: New Zealand Stories and Objects of the First World War, Te Papa Press, Wellington, 2014, p. 78-9. David Littlewood, ‘The Dutifully Reluctant: New Zealanders’ Appeals for Exemption from Conscription, 1916-1918’, New Zealand Journal of History, vol. 50, no. 2, 2016, pp. 30-2. Kate Hunter and Kirstie Ross, Holding on to Home: New Zealand Stories and Objects of the First World War, Te Papa Press, Wellington, 2014, pp. 78-9. David Littlewood, ‘The Dutifully Reluctant: New Zealanders’ Appeals for Exemption from Conscription, 1916-1918’, New Zealand Journal of History, vol. 50, no. 2, 2016, pp. 26-43. John Mcquilton, ‘Doing the “back block boys some good”: The Exemption Court hearings in North-eastern Victoria, 1916’, Australian Historical Studies, vol. 31, 2000, pp. 237-50. Bart Ziino, ‘Enlistment and Non-enlistment in War-time Australia: Responses to the 1916 Call to Arms Appeal’, Australian Historical Studies, vol. 41, no. 2, 2010, pp. 217-32.